Still busy with the shop and everything. Also just picked all the New Design Team members for Tilda & Co, Was such a hard task! Made this card for a Friend to go with something I'm sending her. Made another Blog Header. Its for a lady called kerry. I just hope she likes it . Your have to click it to get a better look im afraid, as blogger scales them down alot. and makes them look all distorted. This entry was posted on 28.5.08 and is filed under Stampavie(Sarah Kays-Rachelle Anne MillerEtc) . You can follow any responses to this entry through the RSS 2.0 feed. You can leave a response, or trackback from your own site. Look forward to seeing your card. I'm taking images with me on holiday to practice. Love the header it looks fab. I love the Header Thankyou so much. I like the card, colours you have chosen are just great! 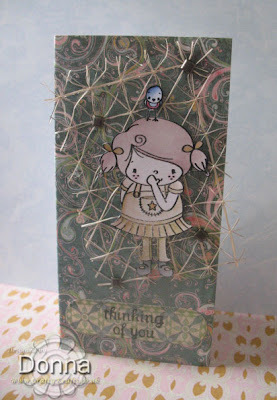 I love everything about your card and the header is amazing!